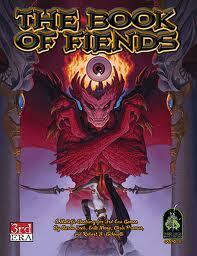 Soldiers of Fortune is the newest book from Open Design for D&D 4th Edition. This one actually took me totally by surprise, because I didn’t remember reading any advertising about it. Anyway, I was instantly hooked by its premise: mercenaries! Since reading Black Company (both the RPG and the novels ) I became an enthusiastic of mercenary campaigns in fantasy settings. The army structure, the designated missions, the loot, the interaction among soldiers and their employers… its fine gaming material to practically any group. 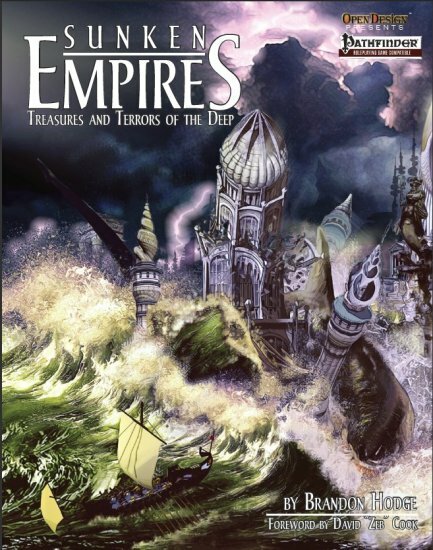 But I digress… Soldiers of Fortune is also devoted to Open Design’s new Midgard setting, following the same pattern of sourcebooks like Sunken Empires (ok, this one also deserves a review). Soldiers of Fortune opens with a thematic exploration of war: religion, patriotism, invasion and other classic casus belli. 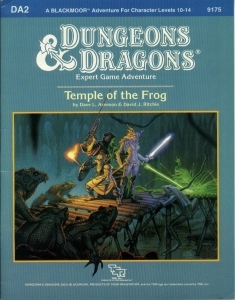 Each theme is followed by adventure hooks of the three tiers of D&D 4th. A nice touch of the author is the suggestion of using and merging tradition D&D play with miniature games like Warhammer Fantasy. The second chapters give us short descriptions on how the main races of the Midgard setting go to war. The curious bit here is that Midgard is a multi-system world, so we get in Soldiers of Fortune details about tieflings, dragonborn and deva – races absent from Midgard products dedicated, for example, to Pathfinder. It’ll be interesting to see how Open Design manages this philosophy in the future. We also get extensive new skill challenges, simulating basic war events like mass battles, sieges and even en entire military campaign. While the author gives advices about how to use the challenges, there’s always the danger of a campaign degenerating to nothing more than a few abstract rolls. At least one full example would have been helpful. Chapter Three was probably the hardest for me to read. It’s based on Sun Tzu’s teachings and while I can see why some people would enjoy that, I find it boring as Hell. Histories about great wars in the Midgard setting or at least texts written more “in character” would had been more engaging for me. The chapter also has new backgrounds and statistics for two legendary generals – whose excellent idea deserved more pages. Chapter Four is for mechanics. First we get a new theme: mercenary; and its assorted powers. The mercenary basic encounter power allows a character to shift 2 spaces with a move action. The new feats are all very interesting and innovative, especially the Commander feats, that greatly increase the utility of the Aid Another action. After these we finally get a selection of new powers for mercenaries and other classes. At the chapter’s end there are four new Paragon Paths, representing classic archetypes: the basic soldier of fortune, the arcane mercenary, the divine mercenary and the war veteran. Although understandable (mercenaries are a traditional element of low fantasy) I do missed a new epic destiny – maybe something dealing with planar mercenaries or about a truly old and scarred veteran, whose tales are more myth than reality to the common soldier. But I do admit that this last criticism is something very personal. Chapter Five is your traditional magical paraphernalia section. The highlights among the items are the Midgardian battle standards. We also have new rituals and martial practices (among these things like Forced March and Hidden Ambush). The next chapter is a short adventure for 7th level characters dealing with a mass battle (and its preparations). Chapter Seven is my favorite. There are new NPC templates (like the awesome Jittery Conscript) and new rules for minions (minion aura and minion horde). Soldiers of Fortune provides full monsters stats for soldiers of the core races of Midgard, including mercenaries (who get their own subtype and characteristics), in addition to some new monsters. The chapter also details siege engines and give little (but appetizing) bits of lore about Midgard – almost a mini-gazetteer –, concluding with a stats for Perun, God of Lightning and War. 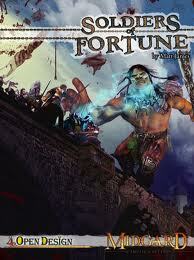 Soldiers of Fortune is a hard sourcebook for me to recommend. Although its text and editing are topnotch, the first chapters are sparse in terms of interesting content (with the skill challenge part deserving a better explanation). The second half more than compensates for that, especially the last chapter, but you better be aware of this. This is another ability that I believe fits well with the Sorcerer’s them. I’m still not sure if the feat requisites are fine. I wanted to simulate that a sorcerer needed not only “innate potential” (i.e. high Charisma) to attempt these actions, but also some experience (the level requirement, based on the Fighter’s mechanic for Weapon Specialization). Your innate arcane talent is so honed that allows you to mimic other dweomers whose casting you witnessed. Benefit: When you gain this feat choose a spell known slot. You can’t select a spell to fill this slot, leaving it opened. Whenever you personally witness a spell been cast, you can attempt a Spellcraft check (DC 20 + the casted spell level). Increase the DC by +5 for each of these metamagic feats employed: Eschew Material Components, Silent Spell and Still Spell. This check requires a standard action and can be done until 1 round after the casting. If you’re successful and the target spell is of a level equal to or lower than your chosen spell known lot, you can copy the casted spell and cast it once. You can cast the copy spell again, but it becomes harder, requiring 2 slots. You can’t cast it a third time unless you see another spellcasting doing it in your presence. When you copy a new spell, the “old” one can’t be cast. In effect, this feat works as if you possess and “open” spell known slot (but limited to only two castings for each copied spell). Special: You can buy this feat more times, each time choosing a new spell known slot. If your Gamemaster allows, when you increase level and gain access to new spells known you can learn the last spell that you copied. Your are a natural magic mimic. Benefit: You can now use your “opened” spell known to copy even spells from other classes’ spell lists. Increase the DC of the Spellcraft check by +5. You can only cast this copied spell once and it automatically requires 2 slots. Special: Due to obvious reasons, you can’t permanently learn copied spells from other spell lists. You can’t get more Old School than this! Recently, the Yaqqothl Grimoire posted about Platemail, a RPG inspired by the old Chainmail resolution system, used for miniature battles and as the first combat system for the Original Edition of D&D. Platemail started way back then and is on its 27th Edition, by author Lars Dangly (you can learn more from this post at RPGNet or from this Yahoo! Group). Oh, and I forgot to mention: this game is a thing of beauty! I spent the last few days reading it again and again, and wanting desperately to run it. Definitely worth a read. Lars managed to bring (to me at least) a new perspective to Old School games. I’m sending the Yaqqothl Grimoire’s original link because it was through this great blog that I learned about Platemail. 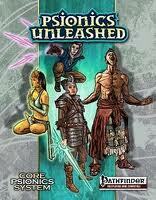 Psionics Unleashed , by Dreamscarred Press, finally comes to the rescue of all psionic fans of Pathfinder. 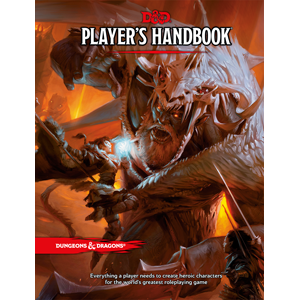 This book is a direct conversion to Paizo’s d20 system of the 3.5 psionic rules of the SRD, released by Wizards of the Coast in the Expanded Psionics Handbook (XPH). Psionics Unleashed opens like its predecessor, by detailing the psionic races. We have dromites, duergars, elans, half-giants, maenads and xephs from the XPH. Gone are the githyanki, githzerai and the thri-kreen. 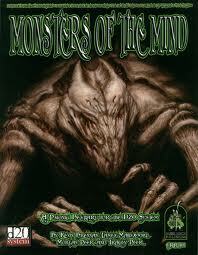 The newcomers are the blue (psionic goblins) and the ophiduans (psionic serpentfolk). The original races from the XPH received only small, cosmetic changes, to adapt them to Pathfinder (for example: their ability scores’ racial modifiers). The four traditional classes are here – the psion, the psychic warrior, the soulknife and the wilder. This chapter has undergone the most drastic changes from the 3.5 SRD. It’s here that the Pathfinder design principles of customization and core class improvement were strictly followed. Each of the psion’s disciplines now grants an array of secondary abilities, like the wizard’s arcane schools or the sorcerer’s bloodlines. The psychic warrior got a little boost to his power points reserve and a new path mechanic – thematic abilities like monk schools or cavalier orders. The soulknife is a lot scarier, with full BAB and lot of options to improve his mind blade – the closest mechanic analog here would be the rogue’s talents. The wilder is now also customizable, with different types of wild surges. The authors followed a streamlined approach to skills: Use Magic Devices is used to activate psionic items and Spellcraft is used by manifester. I found this approach a lot practical and in line with Pathfinder (however, we do have a Knowledge [Psionics] skill). Autohypnosis remains the same (literally, because the authors didn’t update the resist dying skill use, keeping the old reference to a d100 roll in stabilization checks). The psionic feat and the psionic focus mechanics (the last one the best innovation of the 3.5 system in my opinion) are still here. Psionics Unleashed changed the way that some psionic feats work. Most feats now grant a constant benefit if you maintain your psionic focus, together with the old (and stronger) bonus gained by spending your focus. For example: Mental Leap now grants a +2 bonus while you maintain your focus (+4 if you have 10+ ranks in Acrobatics) and a +10 bonus if you spend it. Unfortunately, Psionics Unleashed missed the chance to correct an old design issue from the 3.5 system. The Psionic Meditation feat remains untouched. This ability is so useful, to any psionic character, that it becomes an obvious choice when you meet the feat’s prerequisites. It should have been made into a class feature (a common house rule) or just removed. The powers reveal small alterations but nothing really new. The classic variant “psionics are different” is also here – short rules change to accommodate psionic as a different source of power. The old prestige classes from the XPH were also updated, with the exception of the phrenic slayer (known before just as “slayer”), that received a major alteration on its concept. The rest of Psionics Unleashed is almost a literal conversion from the SRD. 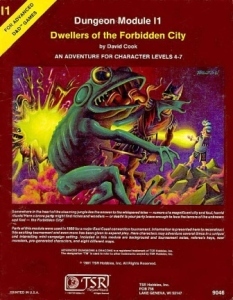 Psionic items, materials and monsters are all here, updated for Pathfinder (the only new critter is the phrenic scourge, an OGC version of the mind flayer from The Iconic Bestiary). Psionics Unleashed is an excellent addition to Pathfinder, even if one day Paizo were to release its own psionic system. The familiarity of the old XPH is both a good and a bad thing. If you had issues with the way psionics were treated before don’t expect any changes. If you liked the system, Psionics Unleashed will surely satisfy you. 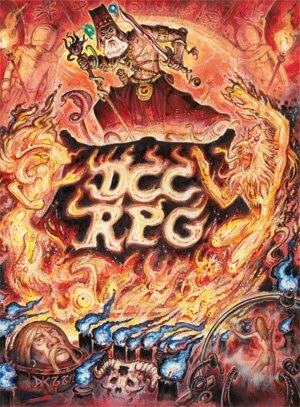 Dreamscarred Press is a great publisher with a big catalog of books all dedicated to psionics; let’s hope they will also convert it to Pathfinder (specially the Society Mind base class). P.S. : I found this just now, before posting this review. What can I say? Go Dreamscarred Press! 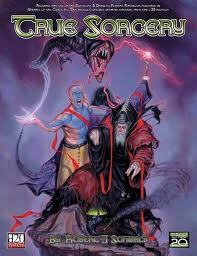 Sorcerers are inborn spellcasters and should, in my opinion, have access to one or two odd spells. They shouldn’t be totally constrained by the Sorcerer/Wizard spell list (which was adopted by that class more out of tradition than any concern with balance or flavor). This feat was inspired by the Expanded Knowledge psionic feat. Exotic Sorcery can also be used to give more color to your character. Your blood carries a unique and rare spell. Benefit: Add one spell from another class’s spell list to your list of spells known. This is in addition to the number of spells normally gained at each new level in your class. However, there are some limitations: the chosen spell must be at least one level lower than the highest level spell you can cast in that class; you can’t acquire the chosen spell at a lower character level than a member of original class’s spell list; you can’t chose the spell if it appears on both your spell list and another class’s spell list. My first attempt with Swords & Wizardry was an extremely enjoyable experience but unfortunately short-lived due to a lack of players. However, it did give me ideas. First, it showed to me how important art and presentation are to new players today. With the “graphic assault” of electronic games, cartoons and comics, most people starting Table-Top RPGs want you to show them what an elf, dwarf or ogre is. Show, don’t tell. Of course, once seated at the table and playing this situation easily changes. Anyway, I digress. The consequence of all this is that I started again to read Pathfinder, searching for ways to introduce it as a more rules-light (or rules-friendly) game. Don’t get me wrong. I believe that Pathfinder is a very rules-friendly game, but after running S&W and talking with the new players about the differences between those RPGs I was impressed by their reaction: they thought that Pathfinder was too complex and with unnecessary rules. So, how to make a “Pathfinder Lite” game? I know that Paizo is working on a Starter Set product, but I doubt it will significantly change the game’s structure (which is fine by me, because what I intent do here is more radical and just to adjust the RPG to my gaming’ needs). In short, I want to make a humbly “Lite” version of Pathfinder that can be easily be put before new players, with characters been built with minimal fuss and book consulting. Please, see this just as a small “hack” to the normal rules. I didn’t playtest it (and I’m afraid I won’t have time to do it for a good while due to my new job). These rules are meant only for Levels 1-5 and as an introduction to Pathfinder. Because of that I removed what I believed to be more complex elements of the game: most racial traits, feats and skills (actually, feats are in a certain way “built” inside each class progression). I’m also using only the 4 classic iconic classes. Use just the Ability Score modifiers (with the exceptions noted below), speed, size and vision traits of each race. Each race has a +3 racial bonus to checks dealing with certain themes: dwarves (stonework, underground), elves (nature, history), gnomes (magic), half-elves (social tasks), half-orcs (physical tasks), halflings (stealth and thievery). Half-elves’ Ability Score bonus is limited to Dexterity, Intelligence or Charisma. Half-orcs’ Ability Score Bonus is limited to Strength or Constitution. Humans gain a free reroll once per day a +1 racial bonus to all saving throws, to counterbalance their lack of special vision or a racial bonus. All classes retain their BAB, HD, armor and weapon proficiencies. Spellcasters keep their spells per day (and spells known) normally. Each class has a fixed progression of benefits. Note that I have increased the Ability Score increase. The idea here is to effectively improve the character’s power (and evade a possible “dead level”). Spellcasters don’t gain any class feature at the 2nd level, but their increasing spellcasting ability negates any chance of a “dead level”. Note that Clerics don’t gain Domain Granted Powers. This progression removes the Fighter’s versatility by assuming the classic concept of the heavily-armored fighting man. Again, this progression seeks to emulate the classical back-stabbing and dungeoneering thief. Note that wizards don’t gain Arcane Schools. The Arcane \item trait is just a new name for the Arcane Bond (Item) option. Ability Score checks follow the normal rules. Tasks that require a Trained Skill check in the Core Rulebook can’t be attempted by characters of another class. Use your discretion as Gamemaster. Each character must survive a number of game sessions equal to their level to improve. Thus, after the first night of gaming, they reach 2nd level. After playing and surviving two more session, they reach 3rd level. Feel free to adjudicate this system for smaller game sessions. To reward good role-playing, ideas, actions participations grant to the player character one reroll. These reroll are cumulative and should be recorded on the character sheet until spent. There are rumors of an ancestral brook in the heart of the forest. It's moss covered waters are said to be fey-touched and to grant eternal youth to any adventurer brave enough to reach it. As usual with these tales, these pathfinders normally don’t come back. The peoples and spirits of the woods tell of a dangerous fey lord or primordial god from the distant past that guards the brook. Druids venerate it, but never approach the holy place, speaking of a terrible nameless form “made of stromclouds and deadly visions”. The local fey are greatly afraid of it, believing it to be an exiled power from the First World*. Actually, the creature of the brook is a potent aeon dedicated to time and space – a bythos. It was draw to the deep spring a long time ago by a small rift connecting that location to a yet older forest in the First World. Due to that realm’s strange proprieties in relating to time and space, whoever who drinks from the magical spring will rejuvenate to his young form (but will not be granted “eternal youth”, blame the rumors on the local fey). The bythos see the rejuvenating effects of the water as an indirect “cheat” through the ways of time. Incapable of destroying it, the aeon has taken residence in the brook. With the passing years and the dead of curious adventurers (it doesn’t stop fey and outsiders from drinking from the spring), this champion of neutrality has accumulated quite a trove of magic items. Among these a ring of greater invisibility (see below). The bythos recently formulated a new strategy to discourage new explorers. Using the magical ring and it's envisaging ability, it allows at first adventurers to reach the spring. When they get close to the water, the bythos send visions of decrepitude and death to the trespasser. If the mortal still persists, the aeon will approach him invisibly. When the victim touch the waters, the aeon will lightly tap him (Perception DC 25 to feel) and use its aging attack on the target. The bythos wants to induce his victims to believe that the “fey pool” actually curses whoever who drinks from it with old age. This in turn will stop future trespassers from discovering the First World rift. *the fey world of Pathfinder's Golarion campaign setting. By activating this simple silver ring, the wearer can benefit from invisibility, as the spell. The wearer can also benefit from greater invisibility, but only of 10 rounds per day. These rounds need not to be consecutive. In my Chronicles of the Seventh Moon campaign setting, Titans are the firstborn of the Orb (planet) of Elaria. Called originally Yazata, they’re the ancestors of the degenerated immortal races that inhabited the Orb and it’s Seven Moons in the last Epoch: the Asura (positive energy genies), the Efreet, the Dao, the Djinn (inhabitants of the Aether between the Moons), the Shee (forefathers of the fey and, consequently, the elves), the Drin (negative energy-shadow genies based on Tanith Lee's fantasy novels) and the Tindalli (progenitors of humans and yakshas, taken from Green Ronin’s Monsters of the Mind ). In my campaign setting, eclipses are not merely an astrological phenomenon but a convergence with the strange Shadow Plane. When the moon of Isaldar pass through the shadow of the fallen Orb of Elaria, the dark awaken and forbidden doors are opened. The mortals call these times simply “The Darkness”. It is said that during the feared eclipses the Darkness leave its Domains Below and takes the moon’s surface. 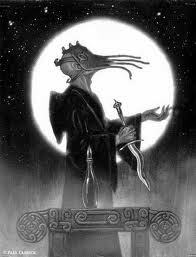 With the Darkness comes its sons and daughters: the Things From Below, the Faceless Folk or the Sceadugenga. The most feared Sceadugenga is the doppelganger, who can take any shape (or even identity if the monster can lay with his victim). The most seen Sceadugenga caste however are the Eyeless Hordes – called by the dwarves the Grimlock. These insane savages are all that remains of the unfortunate humans, dwarves, goblinoids and yakshas taken below during the Darkness. It is whispered that there other castes, above and below those here described (actually, I'm thinking about using these guys). The realm of the Sceadugenga is the feared Abyss, below even the Underworlds of the Ghouls, Gulgars and Troglodytes – at the heart of the Seventh Moon itself. Items like the dreaded spheres of annihilation are somehow linked to the Abyss. 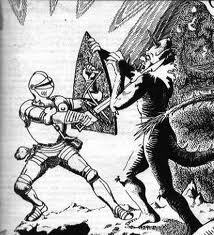 I always thought that the lizardfolk were the forgotten race of the 3rd Edition and Pathfinder. To give them some flavor I shameless stole the Old Slann background of Warhammer Fantasy 1st (and from the Temple of the Frog). The lizardmen of the Seventh Moon are the shipwrecked and degenerated survivors of an old Slann spacecraft that hit the planetoid in its distant past. They’re a psionic race divided in castes with genetic memory embedded in their genes. Most today are just barbaric remnants, but now and then a lizardman is born that grows to prodigious size and uncanny intelligence. Called Lizardmen Kings, these creatures retain some of the genetic memory of the race and usually are able to recover old pieces of technology or develop psionic powers. Their technology, when available, is very “Sword & Planet” in style (if you want a modern example, look at the Mutants of Plun-Darr, from the old Thundercats cartoon). 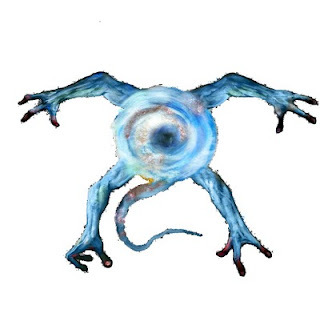 The Slann spacecraft that hit Isaldar was commanded by the Lizardman Lord Semenuaya , whose giant body remains in crystalloid-cryogenic hibernation somewhere in the east of the continent of Aldar – where most tribes of Lizardmen live, perhaps unconsciously summoned by the psionic beacon constantly generated by Semenuaya. P.S. : I couldn't end this post without mentioning Paizo's great line of books devoted to bring a new flavor to classic (or just weird) monsters, like the Classic Monsters Revisited and the herculean effort of Misfit Monsters Redeemed . With this entry I begin to details encounters involving the new kids on the block - Aeons. These are probably my favorite addition to the Pathfinder mythology. Finally some cool and mysterious champions of Neutrality! 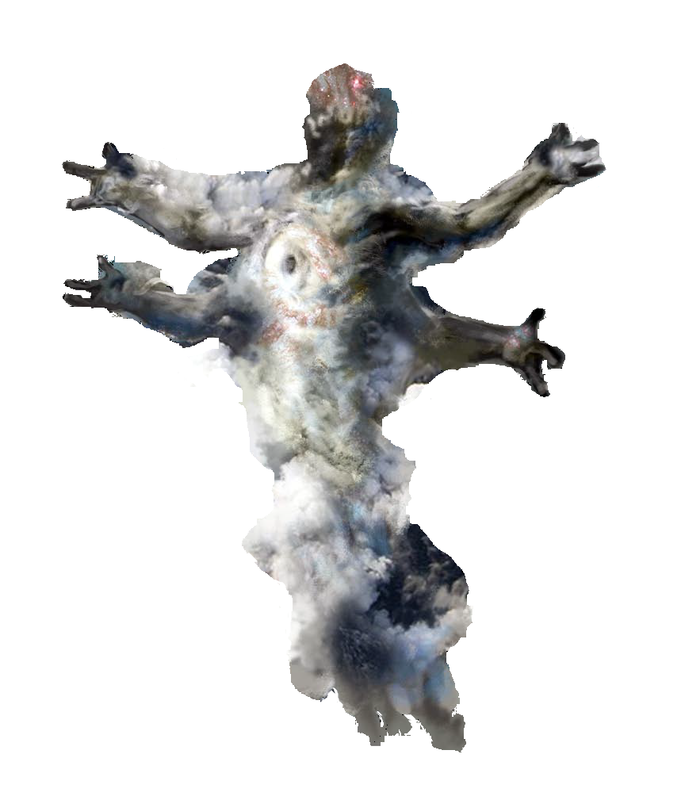 This encounter can be used when the adventurers are passing through wildlands close to mountains inhabited by savage humanoids. While crossing the region the party hears a rumor about "The Temple of the Blue God". This heretic sect dominated a fortified temple responsible for keeping the humanoid barbarians at bay. Its leaders are old bandits and exiles of region's towns, converted to the mysterious Blue God, a demon that cursed the paladin champion of the temple to a death-like sleep. The heretics received help from two humanoid tribes of the mountains, impressed by the power of the Blue God. This demon resides within the inner sactum of the fallen citadel. The body of holy champion is guarded by the last clerics of the order in one of the towns. The priests are forced to constantly change their base in order to stop the heretics from claiming the paladin's body. Actually, there is no "Blue God". The current crises started when an akhana (an aeon devoted to life and death) manifested in the region. The creature assaulted the temple and stole the paladin's soul. After that, the aeon lured local bandits to recruit some humanoids to defend the temple. It didn't present itself as a deity, but the humans and gullible humanoids saw it as one. Guided by the unfathomable commands of the Monad, the akhana took the paladin's soul to stop him from destroying the humanoids tribes. The fortified temple was the heart of a small crusade guided by the holy champion against the local savages. The akhana's actions are in fact an attempt to keep the balance of life and death in the region. If the humanoids are slain, their tribes will stop the sacrifices that keep an ancient evil in slumber below the mountains (a demon or ancient dragon). If this evil arises, all the life in the region will be extinguished. The neutral outsider is searching for a portal to leave the Material Plane with the paladin's soul. It doesn't understand concepts like good or evil, only life and death, seeing the paladin's actions as detrimental to the local balance of forces. If the party attempts to dialogue with the aeon, they may be able to glimpse scenes of destruction and death arising from the mountains. Further investigation may lead to the unhallowed cavern where the tribes maintain their bloody rituals. Open Design's Sunken Empires is a small but very entertaining Pathfinder supplement about how to incorporate the classic Atlantis mythos (or Mu, or Lemuria etc.) in your fantasy setting. It also deals with excellent topics like vril, ancient technology, degenerated races and aboleths (one of my top favorite monsters of D&D). *I don't know if the author meant these as separated encounters or as a final encounter with a "brand new boss monster", the text is dubious. Just a little trivia that I found interesting. If you still don’t know Daddy Grognard do yourself a favor and check it out. This excellent Old School blog has one of my favorite series of posts of all time. 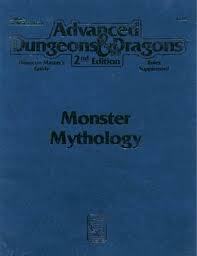 In “An Adventure for Every Monster” we have a short adventure, encounter or plot idea for every critter in the original Monster Manual. Each entry is pure joy and a great set piece (to borrow a term from Paizo’s Adventure Path) ready to be used in your campaigns. What I intent to do here is a little homage to Daddy Grognard (and also because I love to write stuff) by creating one encounter for each monster in the recently released Pathfinder Bestiary 2 . I’ll strive to keep them as short and generic as possible. I apologize early for the lack of any maps, but I don’t use battle grids (and my drawings are awful). This encounters revolves around a magic tapestry, that can be found among any treasure or maybe affixed to a forgotten or haunted ruin’s wall. The tapestry is richly woven from what appears to be gold, adorned with rubies and violet garnets. It must be worth a small fortune, although it depicts a disturbing and grotesquely detailed scene where deformed and naked humanoids are devoured by monstrous wingless birds against a hellish background of forlorn deserts. At the tapestry’s borders is written “Hell’s Vultures” in an archaic form of the Common tongue, with strange runes at the four corners of the art piece. These symbols are actually in Infernal and represent the syllables “arch”, “ai”, “er” and “ai” repeated nine times. The picture depicts one (or two) archaierai. It radiates a moderate aura of magic. 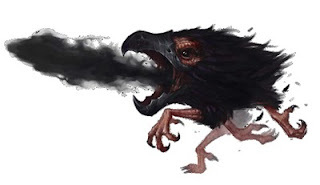 In fact, it feeds on ambient magic to repair and sustain itself, albeit if detect magic or any other dweomer is cast over it the drapery absorbs the energy and the infernal birds are released over the party. After devouring any intruders, the outsiders return to the wall-hanging. A Knowledge (Arcana) check against DC 25 reveals the tapestry’s proprieties. A rogue (or any other character with trapfinding) can attempt to disable the magic trap with a Disable Device check (DC 30). After facing its denizens, the tapestry is still a remarkable work of (infernal) art and its value equals the standard treasure of a CR 5 (or CR 7). As promised here is the new feat that enables Sword & Sorcery spellcasters (as discussed in the previous post) to make pacts with gods and Strange Things from the Outer Dark. You become servant to a spirit or outsider patron in exchange of a portion of its power. Prerequisites: Caster level 1+, Knowledge (Arcana, Dungeoneering, Nature, Planes or Religion) 3 ranks. Benefit: By establishing a pact with a supernatural patron (an aberration, dragon, elemental, fey, outsider, spirit, undead etc.) you gain access to a Cleric Domain. Usually you’re free to choose, but the Gamemaster can restrict the available Domains to better reflect your patron’s origins and powers. You can use the Domain treating you Caster Level as your Cleric level. You gain one extra slot for each spell level that can only be used to prepare the respective Domain spell. You can spontaneously convert any other prepared spell (or spell per day slot) to cast any Domain spell of equal or lower level. If you break any of your patron’s commands or taboos, you automatically suffer a bestow curse effect (without any saving throw) chosen by the Gamemaster (who can choose any other suitable effect, like summon an angry demon against you). The Gamemaster and you should work together to define other aspects of your pact. Maybe your spellcaster character sold his soul to obtain this feat or his presence and location can always be felt by his patron. The Adept feat presupposes a lot of what was discussed previously. In case you don’t agree with that approach or desire a simpler option for S&S games, here are other ideas. Traditionally S&S magic is a lot more dark and dangerous (or at least unpredictable) than the Pathfinder magic system. Well, the “chaos factor” is hard to change without significant alteration to the Core Rulebook rules. 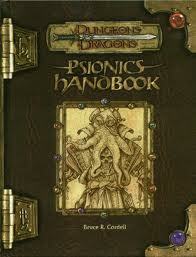 The easiest way that comes to my mind is the old Psionic Handbook ’s Power DC system (of D&D 3rd). Instead of a fixed Spell DC, each time you cast a spell roll 1d20 plus the respective Ability Score modifier plus the spell level. Note that you’ll get a lot of randomness with this. You can also establish that a ‘natural 1’ is a magic fumble (use your evil imagination) and that a ‘natural 20’ grants a boon – maybe the spell isn’t lost, maybe it is cast at a higher level or has some extra effects. These special results depend heavily on the GM’s call and shouldn’t be used otherwise. Even if you want a “Chaos Effect Tables” it’s easy for the players to know what to expect and I think that nothing is more chaotic or frightening than the GM’s liberty to have some fun with your spellcaster’s failures. The “dark and dangerous” aspect is easier to do. A very simple pact magic system can be done on a slot-based mechanic. All spellcasters have the option of conducting a ritual (maybe glimpsed from old tomes or forgotten temple scriptures) to contact an outsider/spirit and gain some extra power by agreeing to some small service, servitude or pact. This ritual is concluded with the choosing of a specific spell slot. The base effect is that the spellcaster gain from the supernatural patron an extra slot of the same level. For example: if a necromancer summon a demonic shade and used a 3rd-level slot, he gains another slot of that level. Maybe this extra slot can only be used to cast a specific spell (from the patron), maybe it grants the use of a spell-like ability possessed by the spirit once per day. This pact requires a small service of the spellcaster, something that involves a moderate effort (like killing a type of creature with the granted spell or maybe a few points of ability damage). A more powerful boon, like additional slots or a greater spell or spell-like ability could require greater endeavors (for example: 101 nights and days of servitude, killing 13 princes, summoning and releasing outsiders in 7 different cities etc.). If the spellcaster fails to keep his part of the bargain he could suffer an effect equivalent to the boon granted – maybe just 1d6/spell level that can’t be healed with magic; an instant summon monster effect of the same level that instantly attacks the caster; a curse; an infernal mark in his forehead, etc. This lite “system” is loose and customizable enough, I believe, to be easily incorporated into any Pathfinder game. The Gamemaster can control the player characters’ options by limiting these pacts to old rituals found in specific places (or maybe the players must research the name of the outsider to be summoned). 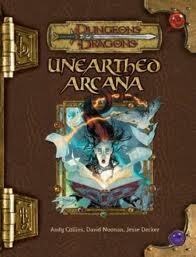 > Add Incantations rules from Unearthed Arcana (or directly from here) to your Pathfinder game. You can even remove spellcasters classes from the player’s options, using them only as NPCs. 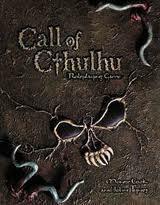 > Add Call of Cthulhu d20 magic system! It’s very easy to adopt and use very lite rules. The option of removing spellcasting classes is even better with this ritual magic system. Don’t forget the sanity rules. > All magic is dark and tainted. Steal the thaumaturge class’ rules for taint and spell recovery from Green Ronin’s masterpiece The Book of Fiends and apply it to all spellcasting classes. The Heroes of Horror for D&D 3.5 also have taint rules, but I prefer the first option. > Still in the Green Ronin’s turf, use the magic system found in the True Sorcery supplement. Albeit complex and demanding more experience from both players and Gamemaster, this system was created to simulate the Black Company novels mythos and easily fits S&S style of magic. > Steal the old AD&D 2nd Edition rules for “historic settings” by increasing all casting times (1 action becomes 1 or 10 minutes, for example), thus turning all spells effectively into rituals. > Another option is to remove spellcaster classes and make spellcasting a feat chain ability. Each feat enables access to one spell level of one class (usually the wizard or cleric spell list). Maybe these feats requires ranks in Knowledge (Arcana or Religion) or Spellcraft. Actually, you could merge this system with the last option: use ritual magic and no-spellcaster classes to obtain a “Lankhamarian” feel in your games (and if you really want a Grey Mouser character, use the rogue class but let the player choose between a Spellcasting feat or increasing his Sneak Attack).